Recently, Labour has been rocked by a new anti-Semitism scandal. 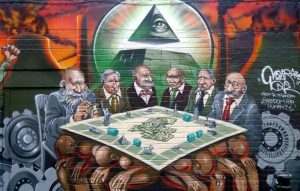 Jeremy Corbyn pledged his support for a blatantly anti-Semitic mural that used to be not too far from our campus, just off Brick Lane. 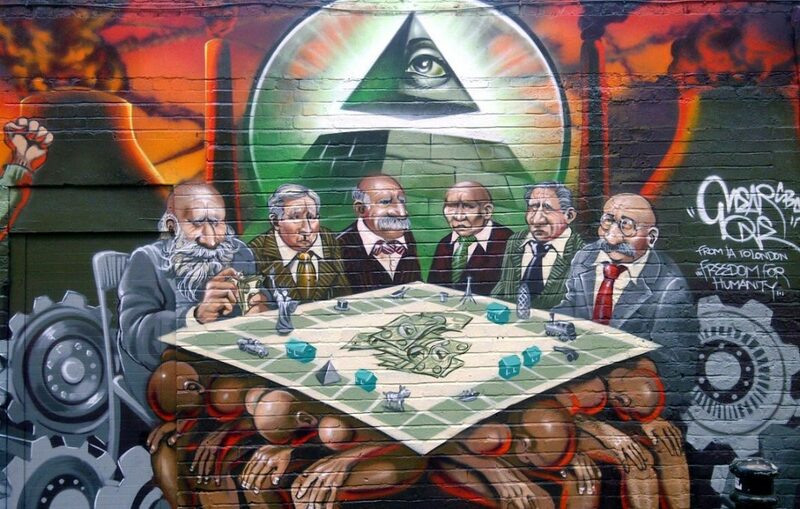 The mural depicts Jewish financiers playing monopoly with the world, on the backs of various bodies. This is obviously, indisputably, anti-Semitic. Those who cannot see that are, in my opinion, either incredibly disingenuous, totally unaware of the history of anti-Semitism in Europe, or, which is more likely, simply anti-Semites themselves. Do I think Corbyn hates Jews? No. I don’t. Do I think that he is actively an anti-Semite? No. I don’t. However, Jeremy Corbyn’s definition of anti-Semitism seems to be ‘That Thing That Happened On Cable Street.’ He is stuck in a view that anti-Semitism is the preserve of the Right, of Stormfront and Mosley’s Blackshirts. He seems to view it as a primarily Right phenomenon, a problem that comes with fascism. He doesn’t seem to be able to acknowledge the fact that there is, and has been for some time, a problem on the Labour left with anti-Semitism. I have listened to so many anti-Semitic conversations throughout my time on the left and as a Labour member. I’ve had conversations with people while doorstepping who have explained to me that ‘They’ don’t want Galloway re-admitted even though he’s great, that Israel controls America, that Israel controls the media, that there is a Zionist lobby that control the media, and so on. There’s been various takes on why this is, and I like this one, which argues that Corbyn’s personal critique of capitalism fits really well with the old anti-Semitism that permeates our culture. Corbyn sets up capitalism as a conspiracy, and every conspiracy needs a Them. ‘They’ are the ones that are keeping ‘Us’ down. For much of Europe (and indeed much of the wider world, too) the great historical Them has been pinned on Jewish people. The problem with Jeremy Corbyn, and Labour’s anti-Semitism problem more generally, is that I really do not see a way that it is fixable. I cannot see a scenario where Corbyn turns his back on his comrades of years and starts actually taking a good hard look at their positions. 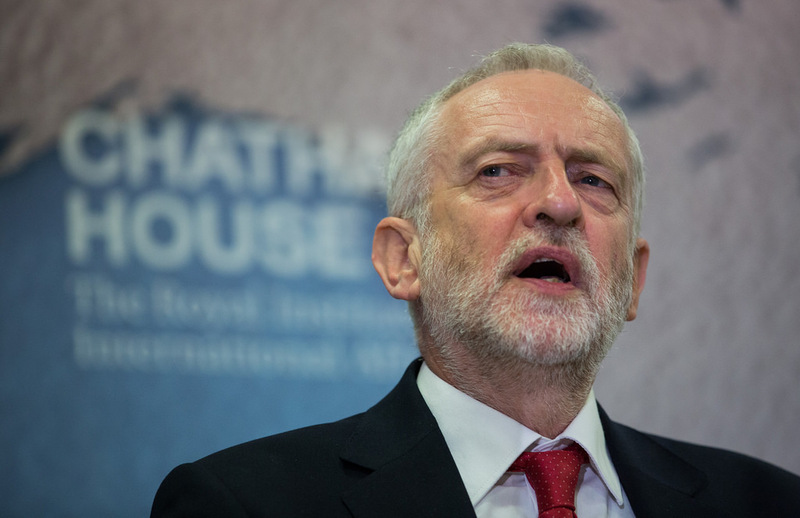 The problem for Corbyn personally is twofold: firstly, he has spent the best part of his career on the fringes of the party, where his default position is to take his allies where he can find them and defend them staunchly. This devotion to loyalty has already been seen in his general unwillingness to fire those in his shadow cabinet who might not be particularly great at their jobs but stuck by him during the attempted moderate coup of Corbyn’s position. The second issue is that Corbyn and his allies have had to withstand immense media pressure, and it is not unfair to say that the clear majority of the Murdoch press have been rigged against Corbyn. It is also not unfair to say that as a result of this, the position of the Corbyn camp seems to be ‘if the press is against us, we’re doing our jobs right!’ which is fine when Corbyn is saying that we should tax the rich more and the press is saying ‘leave the rich alone’ but decidedly unsavoury when the press is saying ‘your party has a massive anti-Semitism problem’ and the default reaction is ‘whatever the press says is wrong’. When we were younger, and we’d get into trouble, we’ve all done that thing where the teacher shouts at us and we have to say we’re sorry and we won’t do it again. Everyone in that conversation knows we don’t mean a single word of it, but we all do the charade anyway because that’s just what you do. Likewise, the Corbyn left seems to view Corbyn as doing precisely that. When huge portions of the Jewish community protested Labour’s anti-Semitism problem, counter-protests began to defend Corbyn. The problem was that Corbyn did not ask for these protests. He had admitted there was a problem, publicly, twice. I think there have been multiple issues with his handling of this issue but he had admitted that the problem existed. For people to be counter-protesting in his name requires the sort of schoolboy thinking mentioned earlier – ‘Oh, yeah, Jeremy’s had to say sorry, but we know he doesn’t really think we’re a problem, we know he doesn’t really mean it’ – from certain portions of the Labour left. Part of this is due to their own ideological blinkers and prejudices, and part of this, I think, is due to Corbyn’s status as the People’s Jeremy. Corbyn is an incredibly effective campaigner, and has built a powerful personal political brand amongst his supporters. The problem with Corbyn’s affability is that many of his supporters view Jeremy as just like them. This is the case on a variety of issues, where you can get Labour-left Remainers who will bet their mortgage on Corbyn simply ‘playing the long game’ on Europe despite Corbyn being a well-known Eurosceptic, and on the case of anti-Semitism, where Corbyn publicly stating there is a real issue is not enough to persuade these people that a) there isn’t one and b) that deep down, Corbyn probably appreciates the fact that they’re there. This isn’t helped by the fact that Corbyn has a fairly good line in making it clear that ‘I’m only saying this thing (whatever it may be) to play the game’ on a variety of policy stances – insofar as I believe you can explain everything with naff pop culture references, it’s a lot like the episode of How I Met Your Mother where Barney keeps saying things then winking, adding a layer of ambiguity to all his statements that drives Ted to distraction. Corbyn, too, has this ability – the ability to make it clear that he is only playing their game, to say thinks with a wink. This, then, leaves us where we are. Were Corbyn to come out tomorrow with a well-thought out campaign against it, I honestly don’t know how well it would function, or if all it would serve to do is signal to certain members that he is only doing this because he has to. It may be that the only way to come back from this is mass expulsions, but that seems both logistically difficult and highly unlikely. Until then, it is the responsibility of everyone in Labour to speak out for the party we all love, and challenge each other to be better.